EDINBURGH, Scotland, 2017-May-17 — /Travel PR News/ — THE first in a series of hi-tech treasure hunts will take place in Peebles later this month that will encourage visitors to get outdoors and explore the area. The first-ever Caledonian CacheFest will take place in the town on Saturday 27 May, with associated events across the weekend. More than 150 people are expected to take part in the modern day version of a treasure hunt. 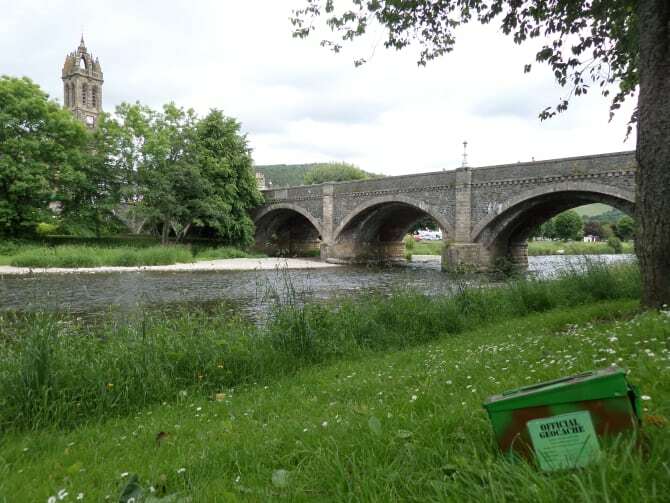 Participants will follow clues with help from their smartphones to discover dozens of caches hidden in the spectacular forest areas surrounding Peebles. VisitScotland hope the family-friendly event in the heart of the Tweed Valley will bring visitors to the area to enjoy the very best of what the region has to offer. Event organiser, Chris Meikle from Caledonian CacheFest, said: “Geocaching is a wonderful outdoor hobby using GPS devices to find hidden caches. There are three events planned in Peebles over the Bank Holiday weekend and we have worked closely with the Forestry Commission to take advantage of the stunning scenery and forest trails around Peebles. We hope to attract a few hundred geocachers to the area and hopefully introduce loads more locals to this great hobby. Manuela Calchini, Regional Partnerships Director for the South of Scotland, said: “I am delighted that Peebles and the wider Scottish Borders region has been chosen to host the first ever Caledonian CacheFest. This entry was posted in Entertainment, Festivals and Events, Tourism, Travel and tagged Caledonian CacheFest, Chris Meikle, Manuela Calchini, VisitScotland. Bookmark the permalink.